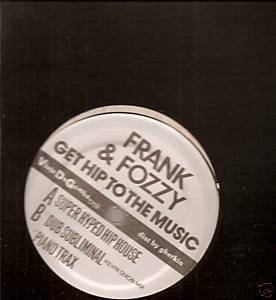 Viola da Gamba 1719 vinyl single (1990) Frank Fozzy Get Hip to the Music 3 mixes including Kevin Dixon's Dub Subliminal Hip house single from back in the day features an 808 State-esque piano hook and samples Sly the Family Stone's Dance To the Music. Still sealed. Listen to the Kevin Dixon mix at http://www.youtube.com/watch?v=yyjZNeRFBg4 Please see the Chicago House section of our store for more great selections.